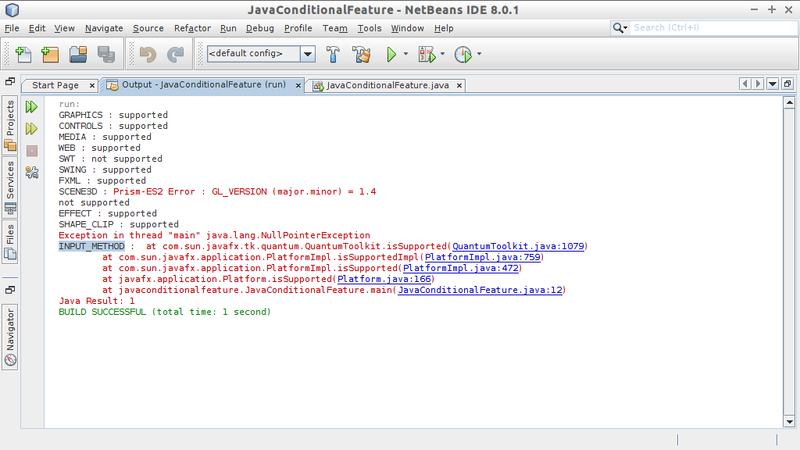 javafx.application.ConditionalFeature defines a set of conditional (optional) features. These features may not be available on all platforms. An application that wants to know whether a particular feature is available may query this using the Platform.isSupported() function. Using a conditional feature on a platform that does not support it will not cause an exception. In general, the conditional feature will just be ignored. See the documentation for each feature for more detail.